Lee Bird rallies along the Central Coast of California. Photo: Adam Evard. 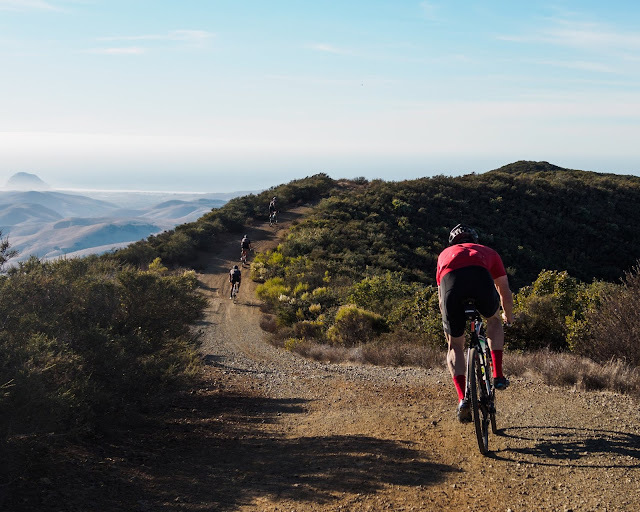 Back in December 2017, a crew of rippers from Southern California migrated to San Luis Obispo, along the Central Coast of California, for three days of gravel. Here, Lee Bird is pictured, while riding West Cuesta Ridge, above San Luis Obispo. On Sunday, March 4, we'll be dropping our second "Sunday Service" piece, which will include details on gravel riding in San Luis Obispo.